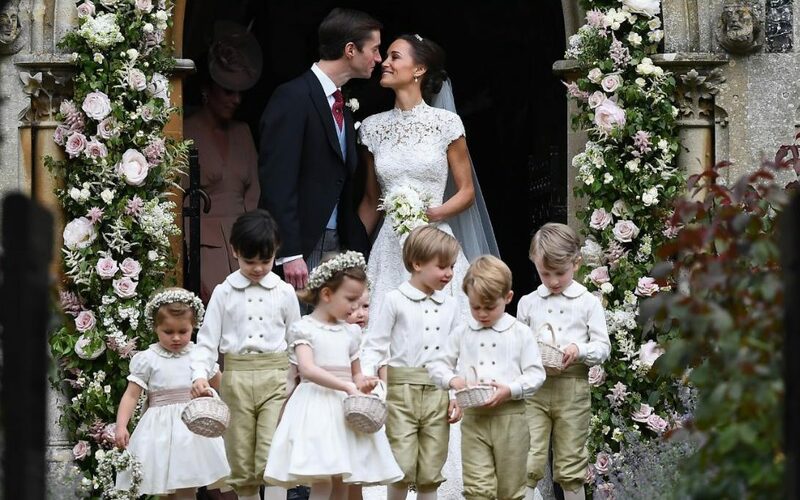 While it wasn’t technically a royal wedding, Pippa Middleton’s recent nuptials certainly were regal! Pippa, the sister to Duchess Kate and sister-in-law to the second-in-line king-to-be William, wed her “prince” this past weekend on May 20th in a highly publicized and anticipated affair. 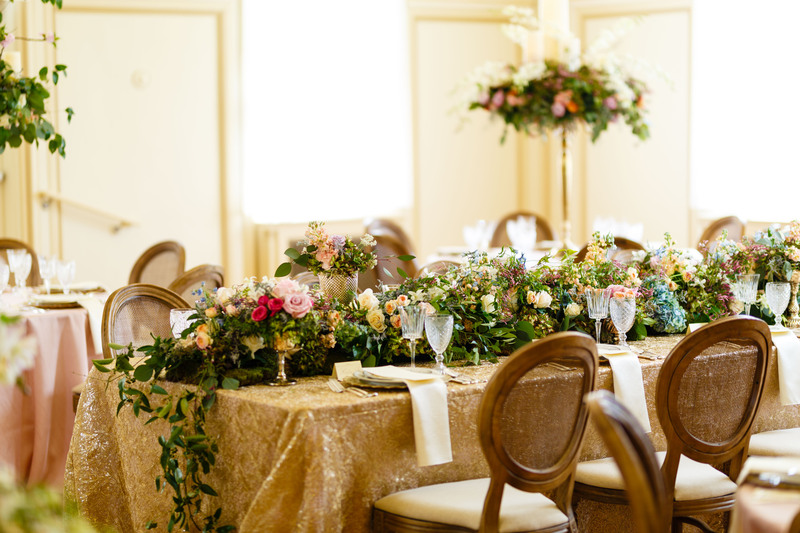 We, as many event and wedding professionals around the world, were eager to see all the details of this sure to be trendsetting wedding and were giddy with all the nuances. 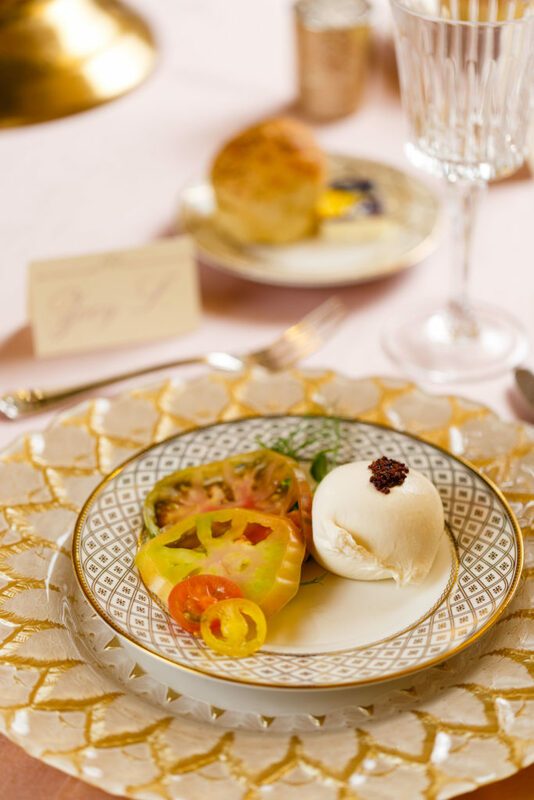 In particular, we were so excited to see the similarities between Pippa’s wedding and our own regal wedding that we coordinated, planned, decorated and catered exactly one month before Pippa’s! 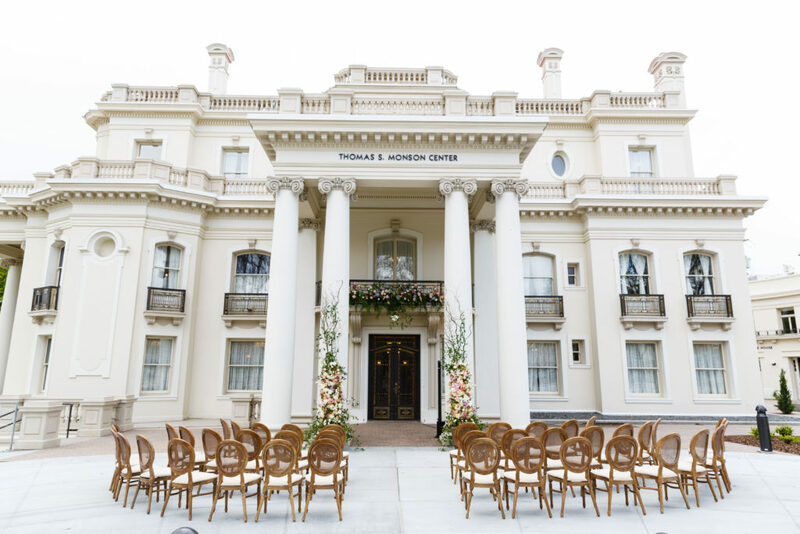 Here’s a run down of LUX Catering & Event’s own regal, trendsetting Utah wedding! 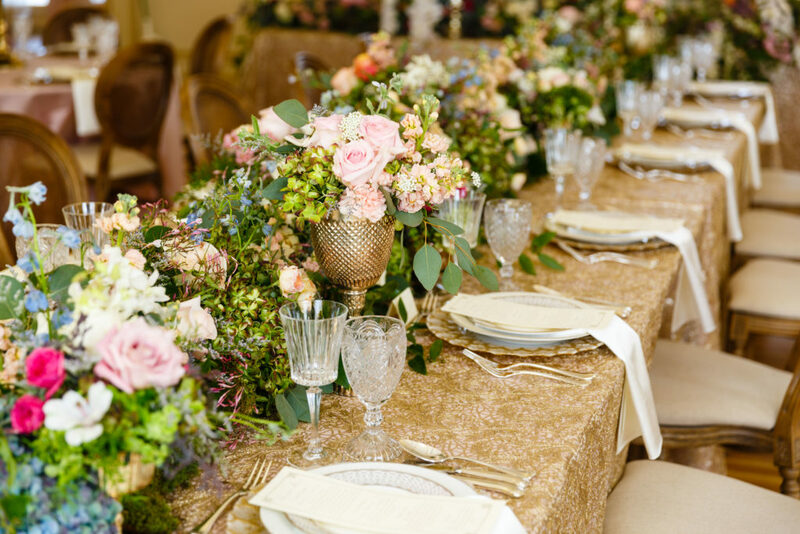 First off, you can’t address anything about either of these regal weddings without your jaw dropping over all those FLOWERS! 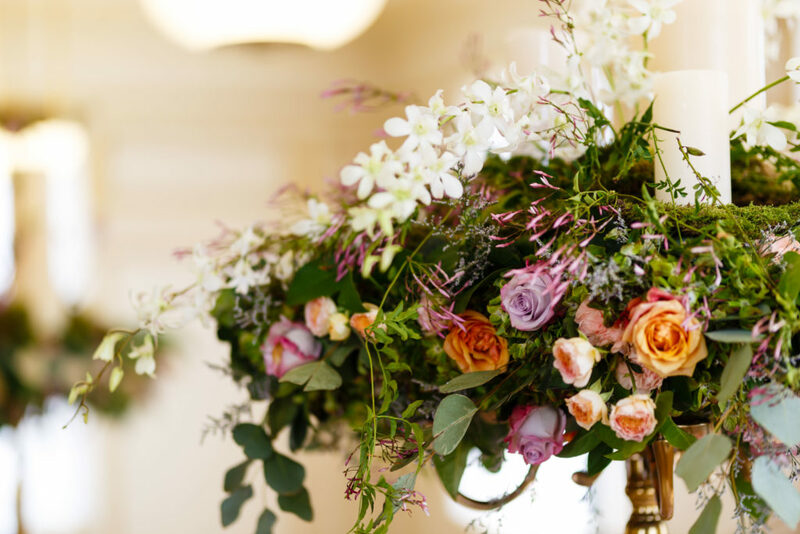 If any one thing can be learned from these weddings and the trends that will follow, all we can say is 2017 weddings will be decked out in flowers! 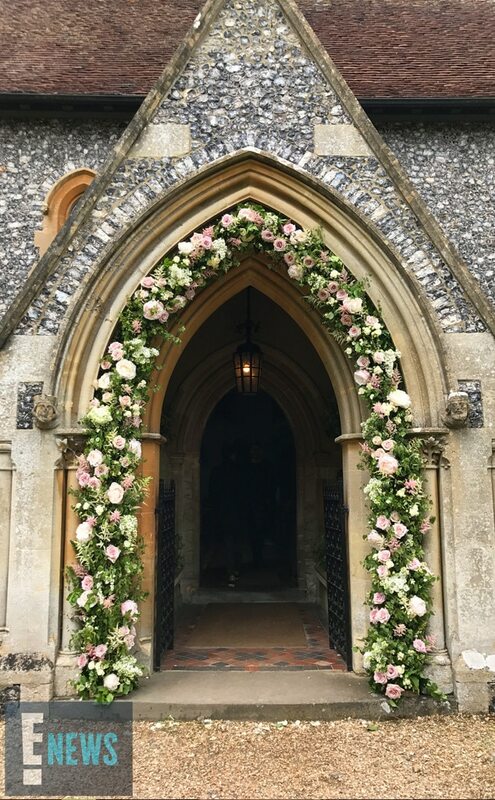 Pippa Middleton’s ceremony featured floral columns outside St. Mark’s Church as well as two climbing trees at the altar surrounded by pink and white roses at the base and pink and white roses, stock and other flowers sprayed throughout the church. 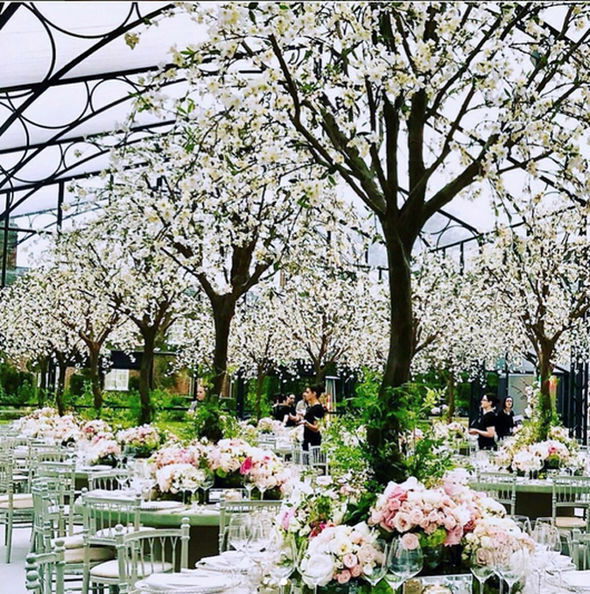 The trees were a theme throughout the wedding, with large cherry trees the center of each table at the reception. 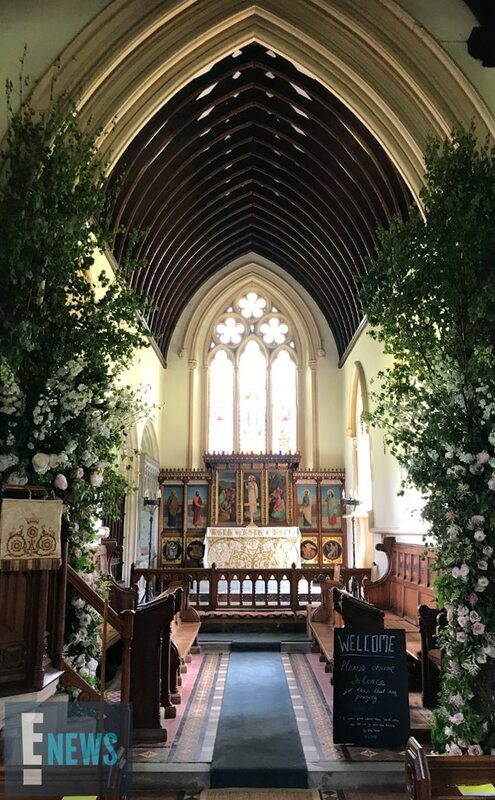 Our own lovely couple knew they wanted a spring wedding so as to have their wedding enshrouded in flowers – the bride’s favorite season in spring because she loves flowers so much and she wanted to guarantee she could have her favorite flower, lilacs, be a staple at her wedding. 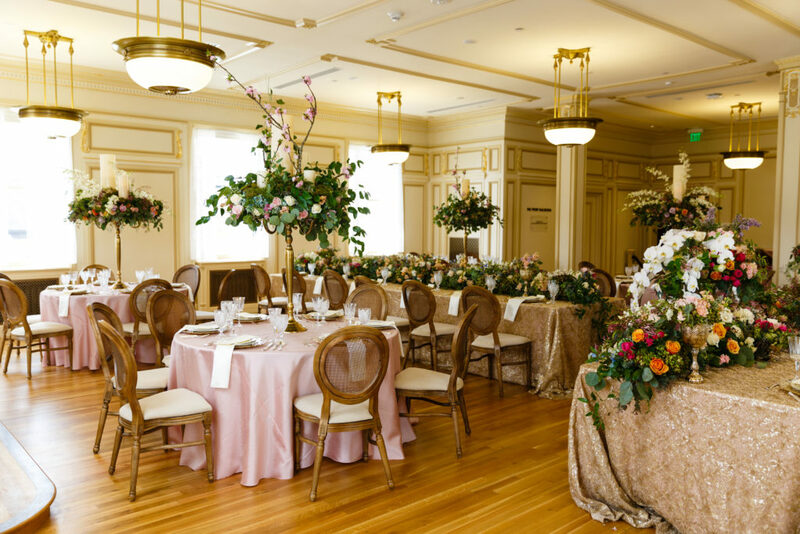 LUX Catering & Event’s own regal, trendsetting Utah wedding for our bride and groom featured not only lilacs, but various varieties and colors of roses, at least 2 varieties of orchids, stock, jasmine vines, delphinium, hydrangeas, lilies, clematis, and many many more flowers! 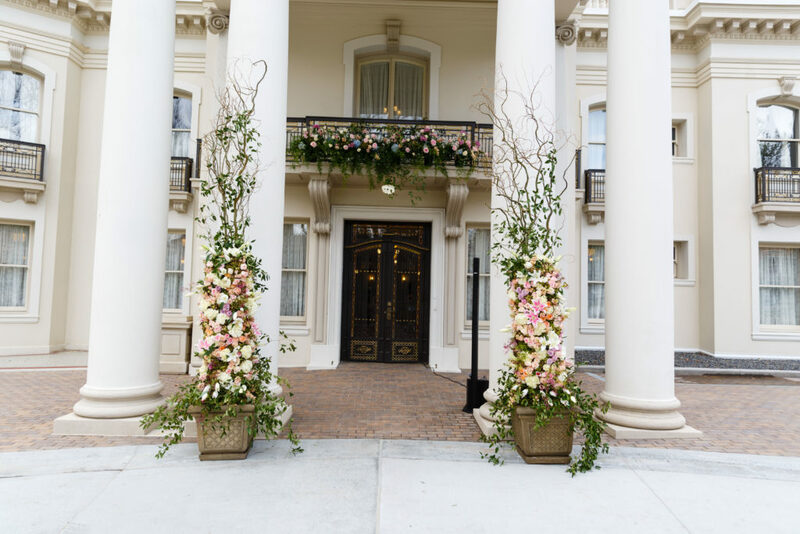 Our bride and groom said their vows in between two French columns made entirely of flowers with a balcony dripping with hydrangeas, roses and greenery above them. 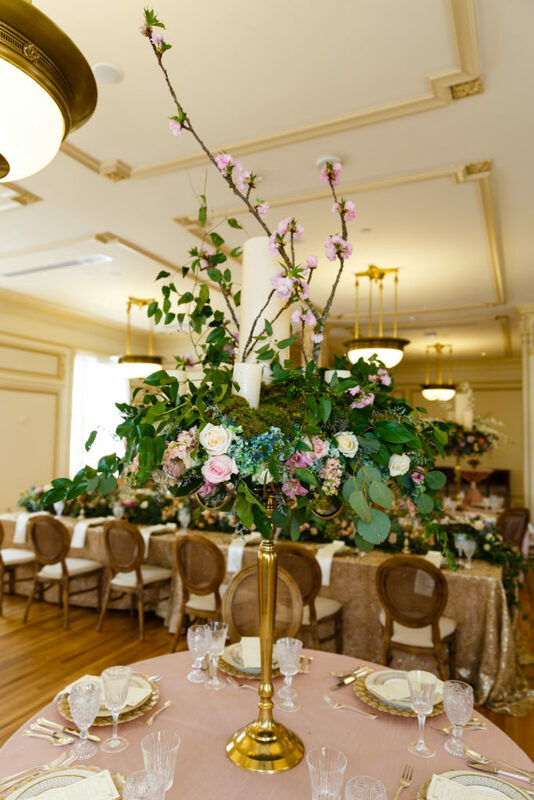 For their dinner reception, the tables featured towering candelabras with delicate arrangements above the guests heads as well as runners billowing down the sides and the middle of the tables. 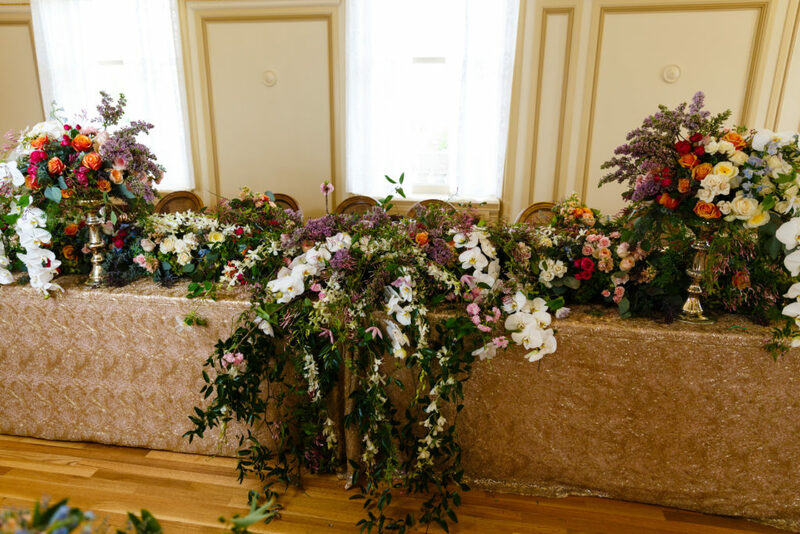 The head table featured giant boughs of lilacs, orchids, hydrangeas, roses, greenery and creeping vines to imbue the grandeur of the newlyweds and their special day. 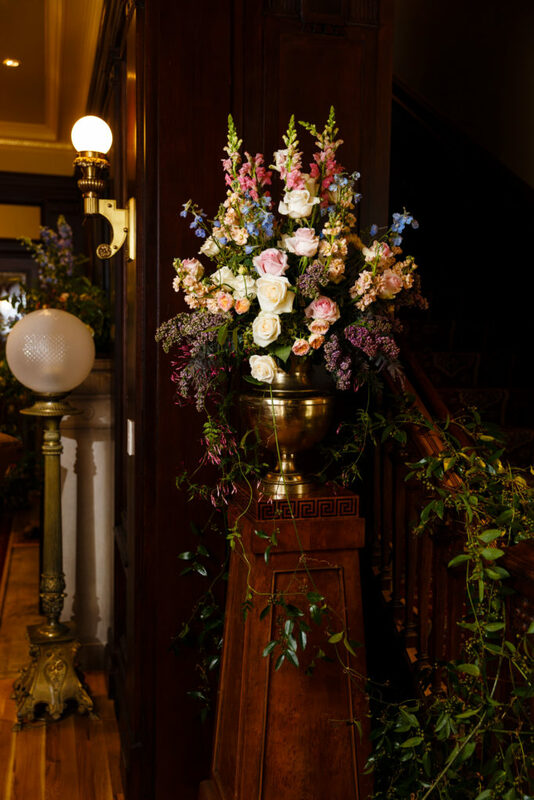 And while there were no magnificent live cherry trees, many of the candelabras features haphazard and delicate cherry blossom branches. 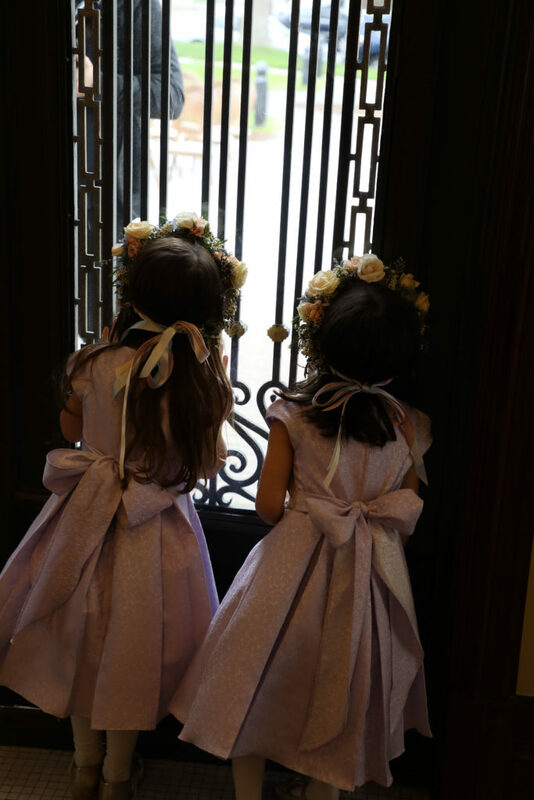 Of course, let’s not forget the darling bridesmaids and flower girl at both weddings, each dawning their own adorable flower crowns. 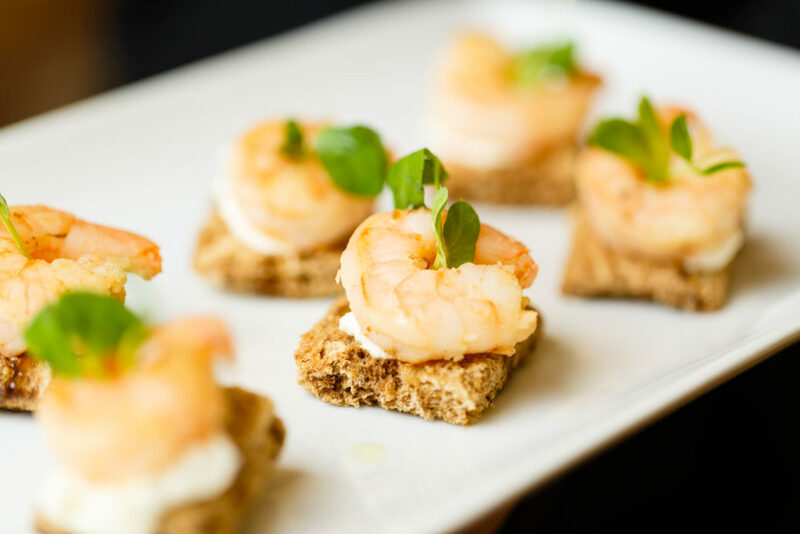 It was said that Pippa’s wedding guests then enjoyed and dinned on a variety of over 20,000 canapés! 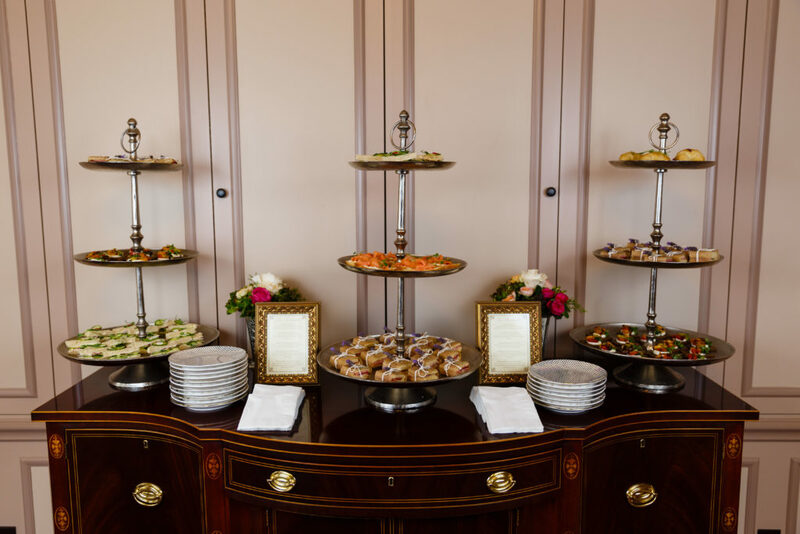 While our bride and groom did not have such a large number of canapés, our wedding guests still enjoyed 4 varieties of canapés during the cocktail hour after the ceremony. 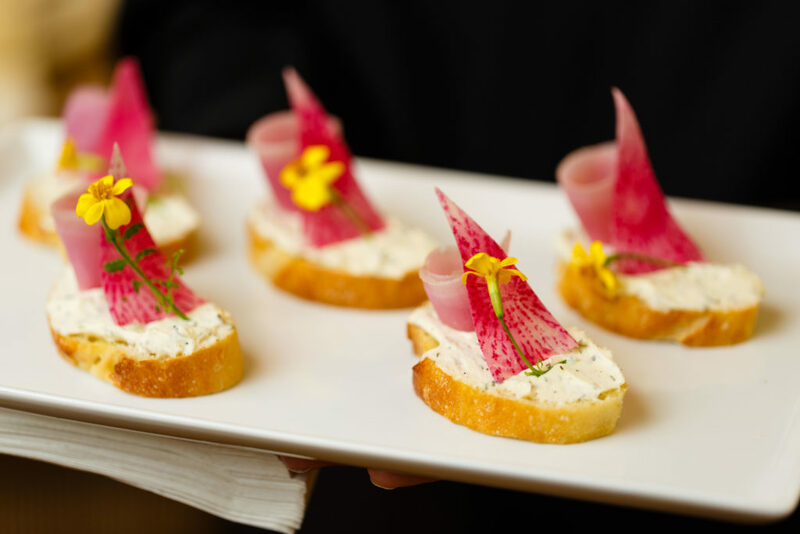 Delicacies included quail egg canapés on toasted wheat bread cups, herbed cheese spread on sliced baguette topped with decorative radishes and edible flowers, cubed rye bread topped with marinated shrimp, and more. 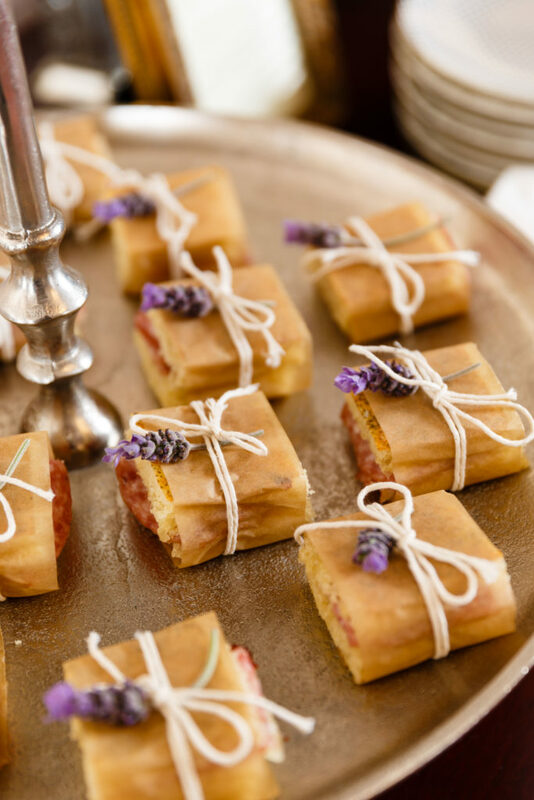 James, Pippa’s new husband, and his family are proudly Scottish so the English regal wedding featured many traditional English and Scottish culinary dishes for their dinner. 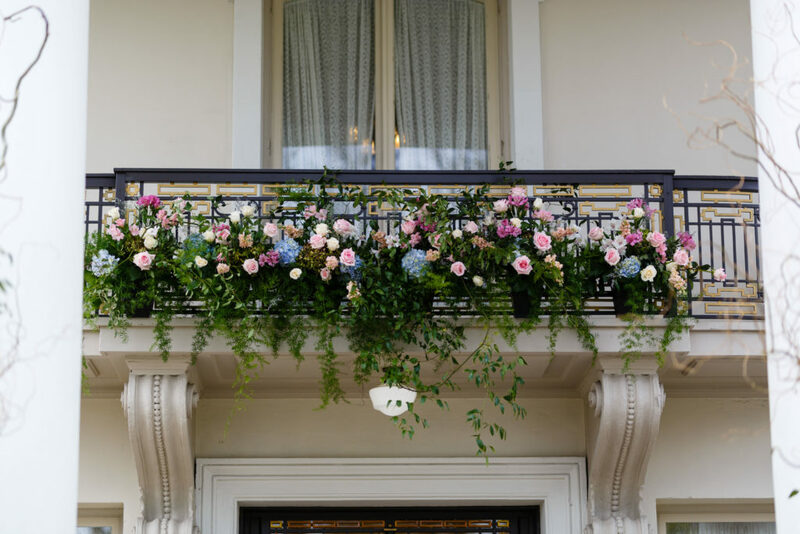 While LUX’s bride and groom are not directly English or Scottish, both have an English family history and a love of English culture. 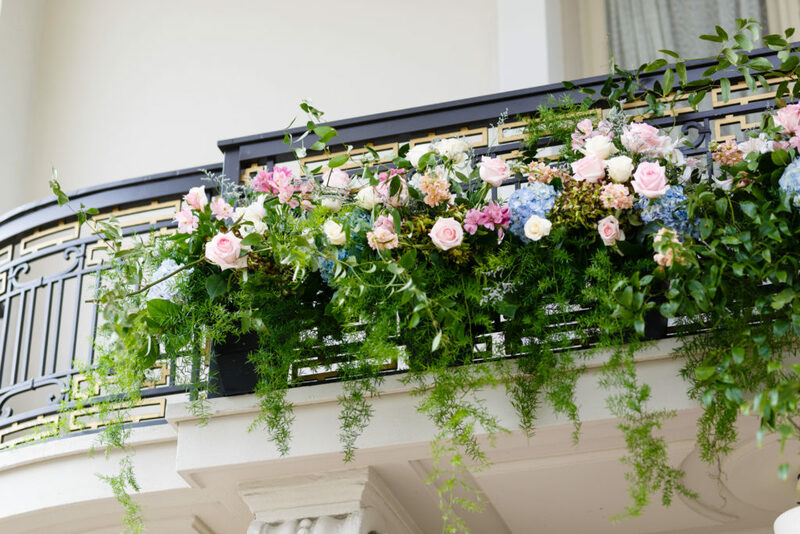 The bride’s favorite city is London and both her and groom wanted their wedding to be inspired by an Edwardian English garden affair (think 1st season Downton Abby). 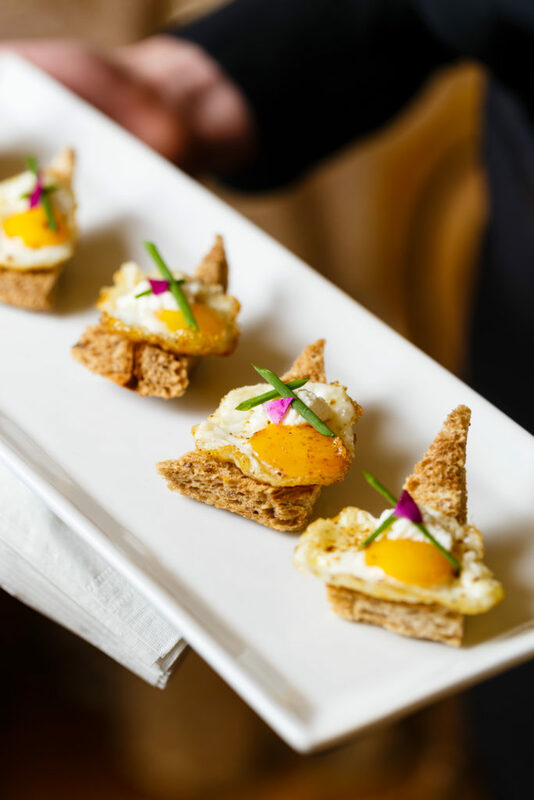 Therefore our kitchen and culinary team set to work bring them and their guests a special English themed dinner and reception. 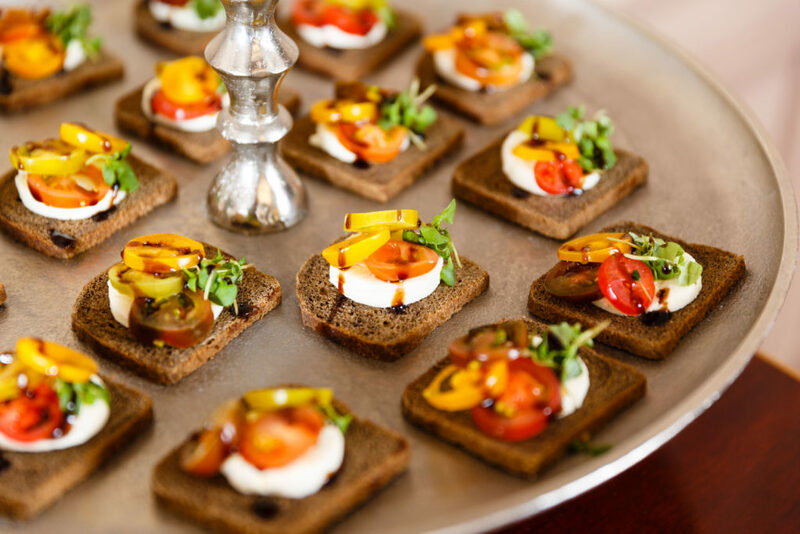 Guests enjoyed fresh caprese inspired salads with heirloom tomatoes served with creamy burrata cheese and drizzled with balsamic reduction. 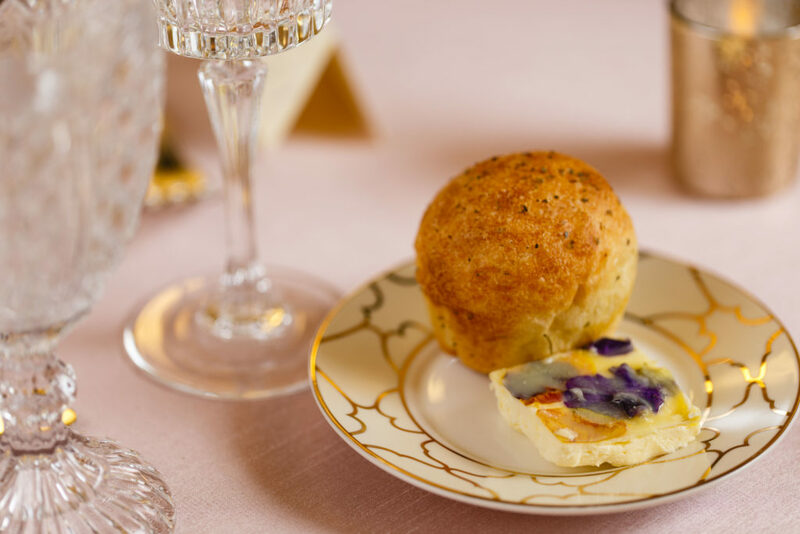 (There were even edible flowers pressed into the butter served with the delicious focaccia rolls!) 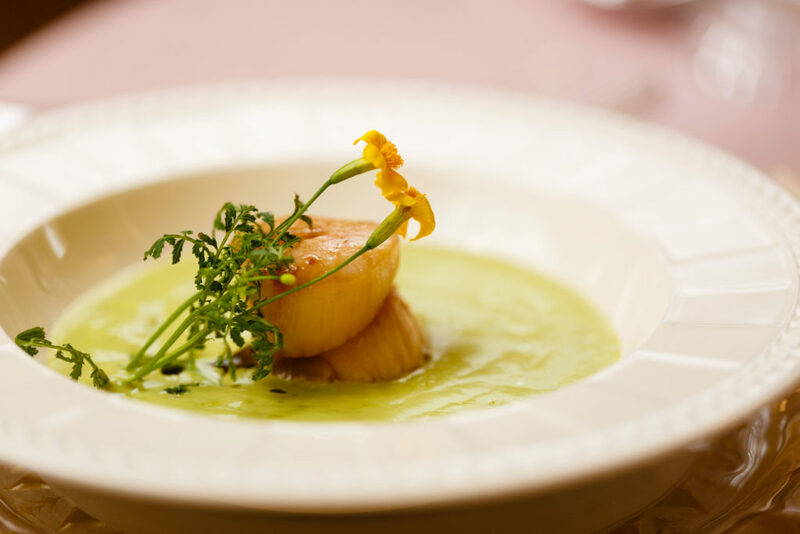 The second course featured seared scallops in a warm and creamy asparagus soup. 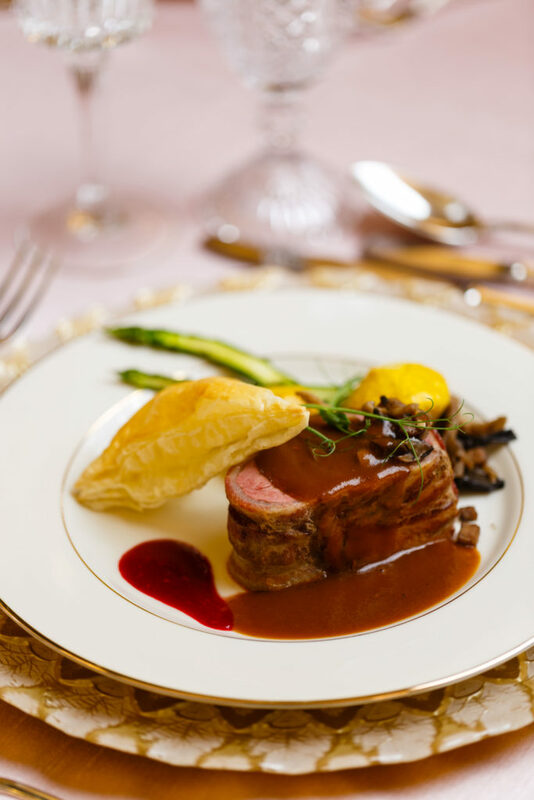 The main course was a contemporary and fun take on a traditionally English meal – deconstructed beef wellington with raspberry demi-glace. 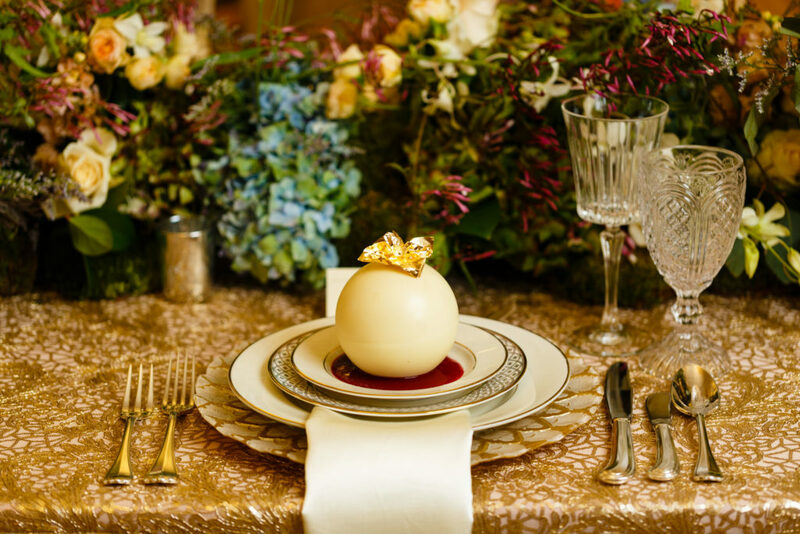 Finally, the pièces de résistance – dessert: raspberry mousse atop a vanilla sponge cake, encased in a pearlescent white chocolate dome served with raspberry purée! So delicious! 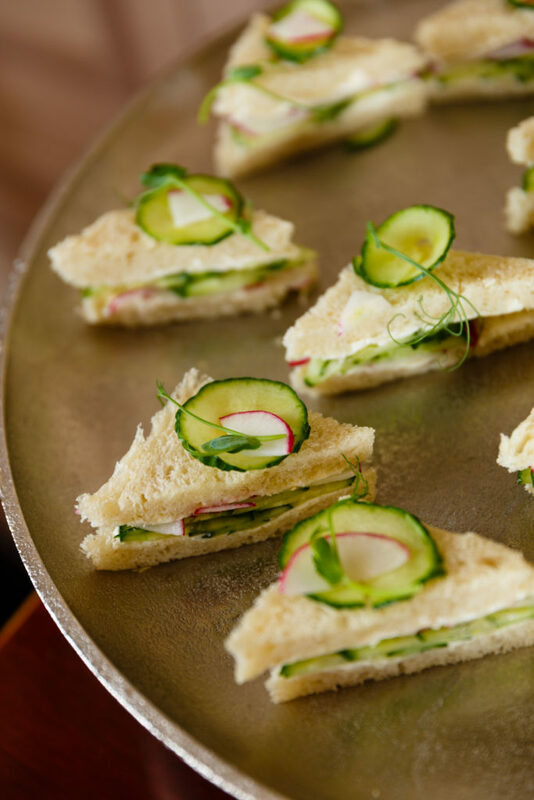 After dinner, the reception featured even more English inspired foods, most notably an assortment of traditional and not-so-traditional English tea sandwiches. 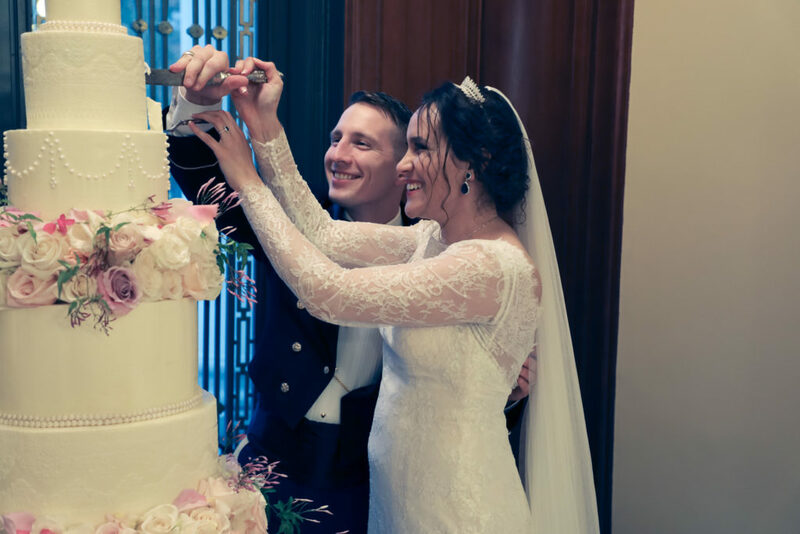 While there are no pictures yet (that we can find) of the semi-royal couple’s wedding cake, reports are they had a traditional 4 tier wedding cake covered in white icing. 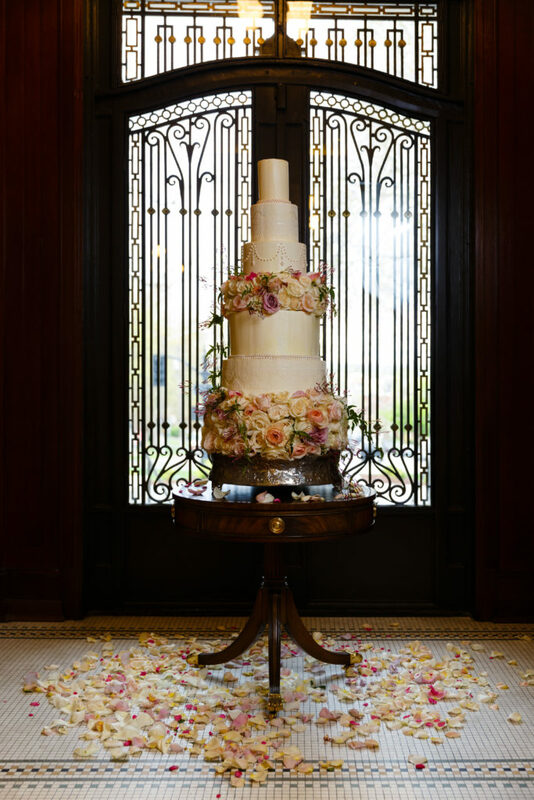 While this very traditional we are seeing returning trend of the classic buttercream wedding cake. 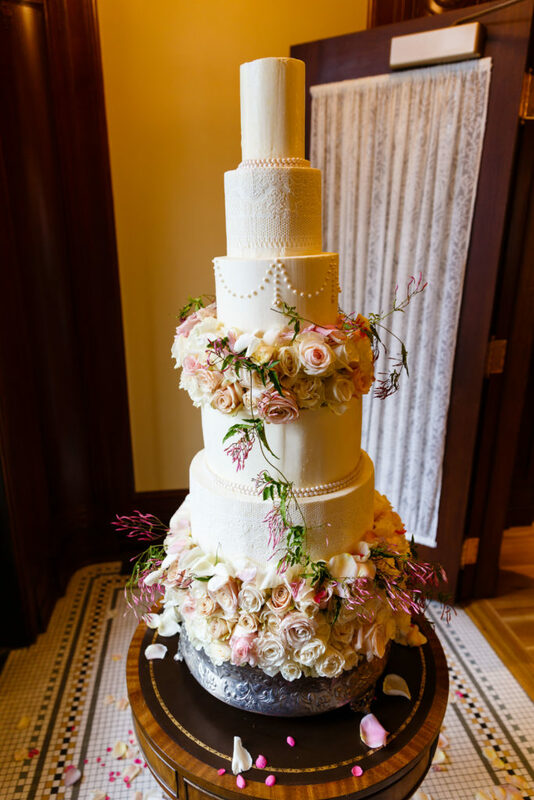 Our couple’s cake featured 5 tiers of various flavors including chocolate and raspberry, iced in white buttercream and covered in gum paste lace details and hundreds of hand made edible pearls. 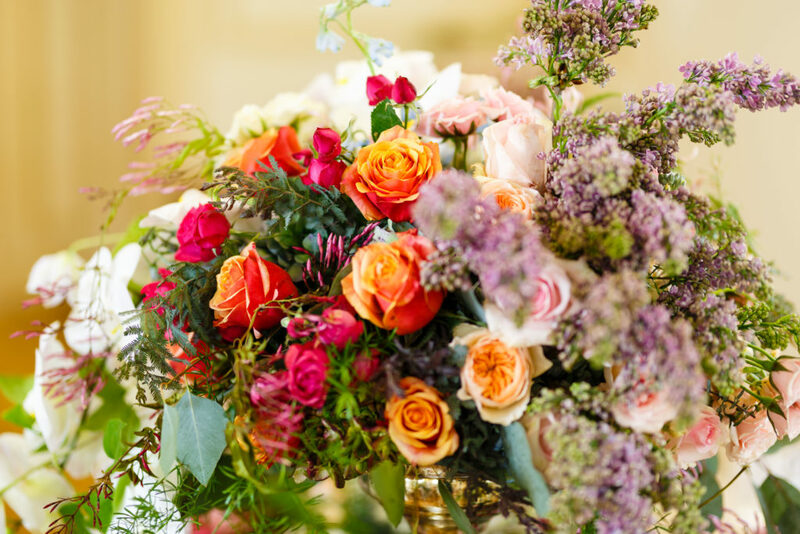 And of course, more sumptuous flowers! 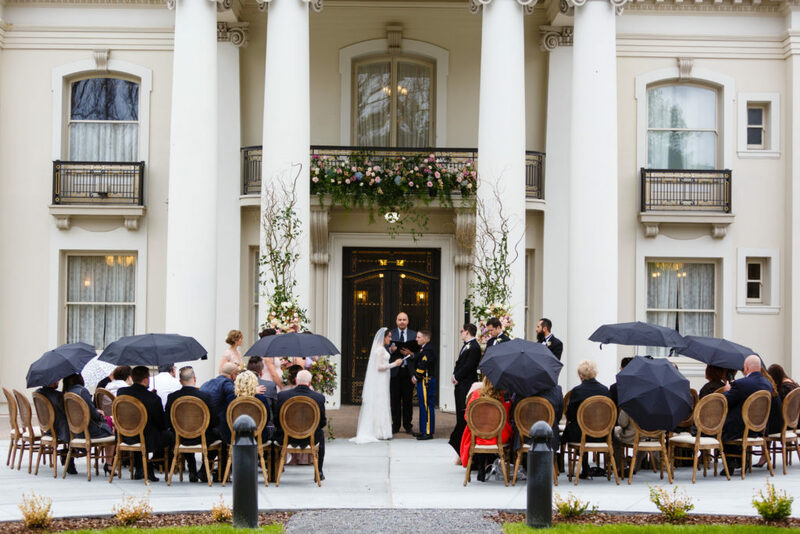 Also, we just have to point out how both brides wore lovely all lace dresses and decadent English netting veils. Lace wedding dresses are definitely the current trend (most notably thanks to Kate Middleton’s immaculate lace wedding dress at the Royal wedding 6 years ago). 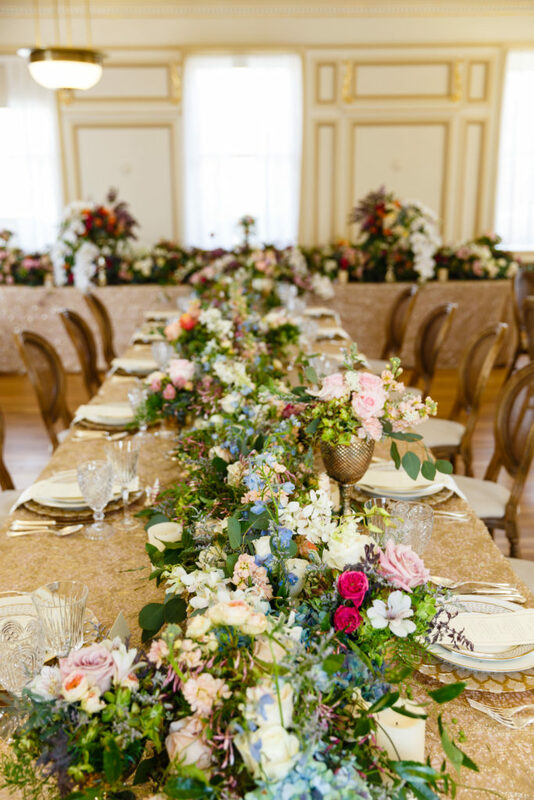 We can’t wait to see what other wedding trends unfold this year, but even more so, we can’t wait to be on abreast of the trends and to be a part of more trendsetting Utah weddings. Congratulations and many happy decades to both of the newlywed couples! 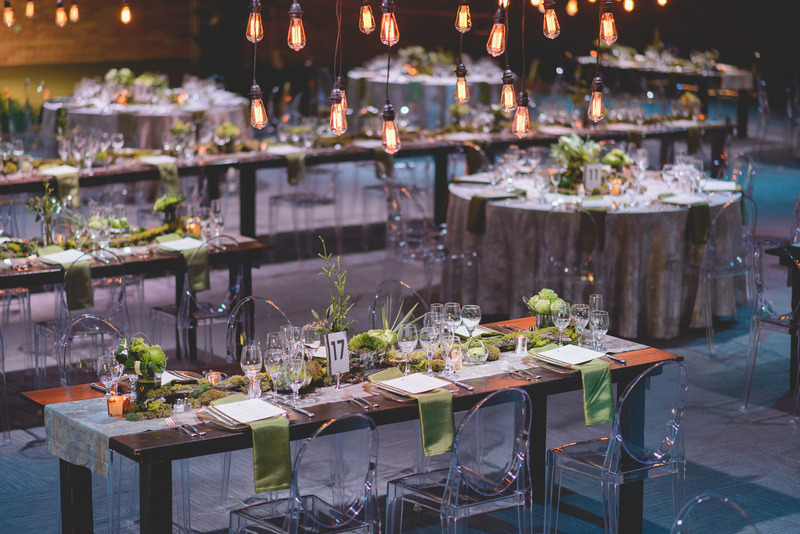 If you have a trendsetting Utah wedding coming up, reach out to us at (801) 466-2537 and let’s start collaborating on the next wedding of the year! P.S. 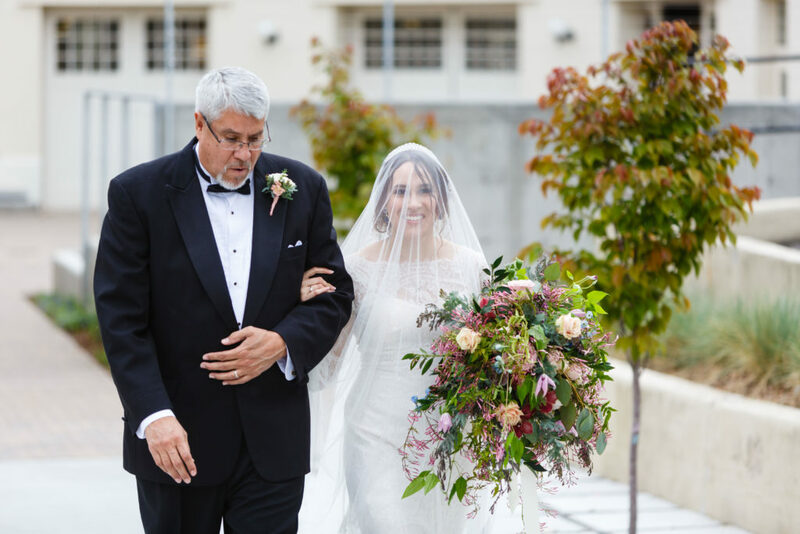 This wedding was also recently featured on Utah Bride Blog! The bride was also featured on the site with her bridals. Go check them out!